This week, the Naturally Speaking team takes you to the Ngorongoro Conservation Area (NCA) in northern Tanzania where for hundreds of years Maasai communities have depended on a close connection with their livestock. If you are a Maasai in the NCA, you grow up very quickly. By the age of 6, you will already be in charge of caring for the small livestock. At 17 you come of age, taking on responsibility for the highly valuable cattle. Your chores do not simply involve grazing your livestock, but also protecting them from wildlife attacks. Encounters with wildlife often leave visible scars, a sign of strength and courage. But in these harsh and remote environments, invisible threats may prove to be more deadly. Diseases that in western countries have become relegated to history and legend remain a daily reality. Maasai boy herding goats and sheep near Olbalbal, Ngorongoro Conservation Area, Tanzania. Photo courtesy of Tiziana Lembo. One such disease is anthrax. The word ‘anthrax’ conjures images of bio-terrorism and of a terrifying sickness where victims succumb to sudden death with external haemorrhaging. While this disease solicits major funding and response when cases occur in developed countries—such as the bioterrorist attacks in the United States in 2001—in reality, human deaths due to anthrax only occur in these countries under extremely exceptional circumstances. Meanwhile, anthrax remains largely ignored in parts of the world where it represents a daily reality that needs to be somehow coped with. A reason for this neglect is that the disease affects mainly communities with limited visibility and political voice. Anthrax is caused by a spore-forming bacterium and primarily affects herbivorous livestock and wildlife. People can contract anthrax by ingesting the meat of animals that have died from the disease, or by getting spores into an open wound while handling contaminated animal products. The risk of human illness is therefore higher in communities such as in the NCA, where people, animals and contaminated soil harbouring anthrax spores co-exist. Eating meat from livestock that has died from anthrax is a common route of infection for humans. 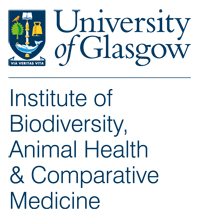 Researchers Taya Forde, Tiziana Lembo and Rhoda Aminu, as part of their work on anthrax in northern Tanzania, recently facilitated a workshop in the NCA, supported through a University of Glasgow-funded Knowledge Exchange initiative. During this workshop, they spoke to some of the participants about what it is like to live in an anthrax-endemic area like the NCA, hoping to give a voice to the communities most scarred by this neglected disease. Intro and outro music sampled from: “The Curtain Rises” and “Early Riser” Kevin MacLeod [CC BY 3.0].